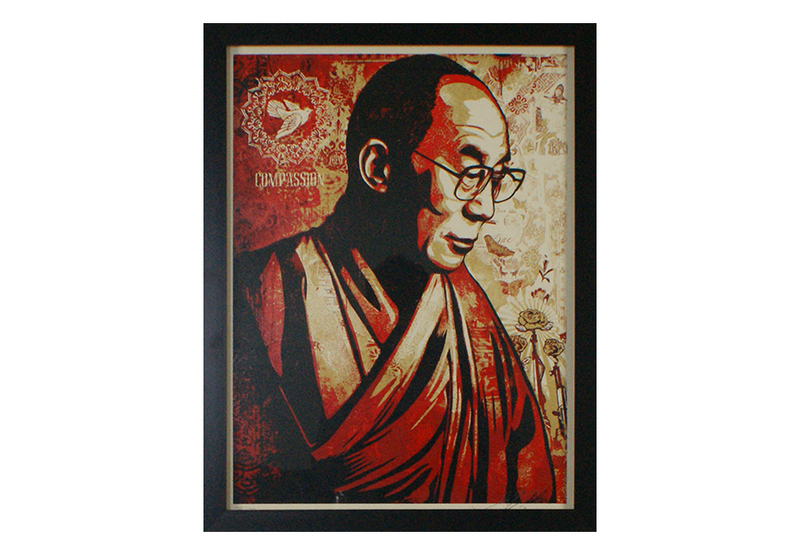 Today we present our collection of Shepard Fairey prints. 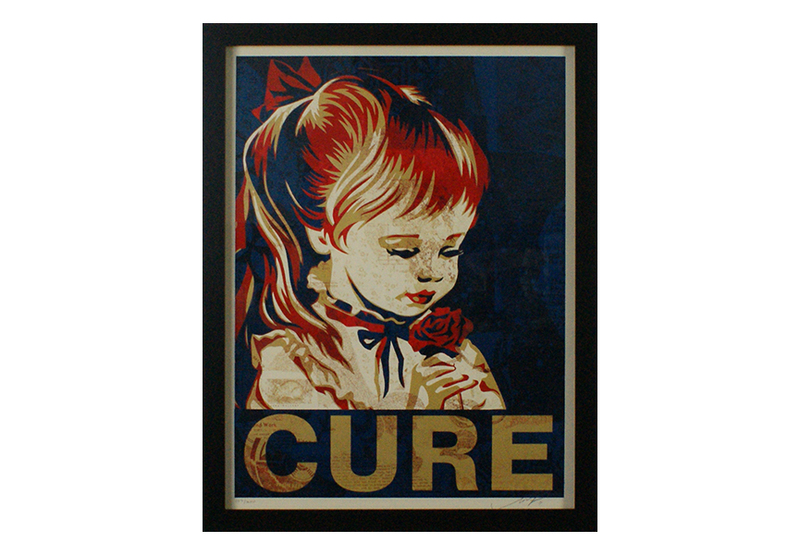 The first print is titled ‘This is Your Good’ is 61 x 91 centimeters and was printed in 2003. 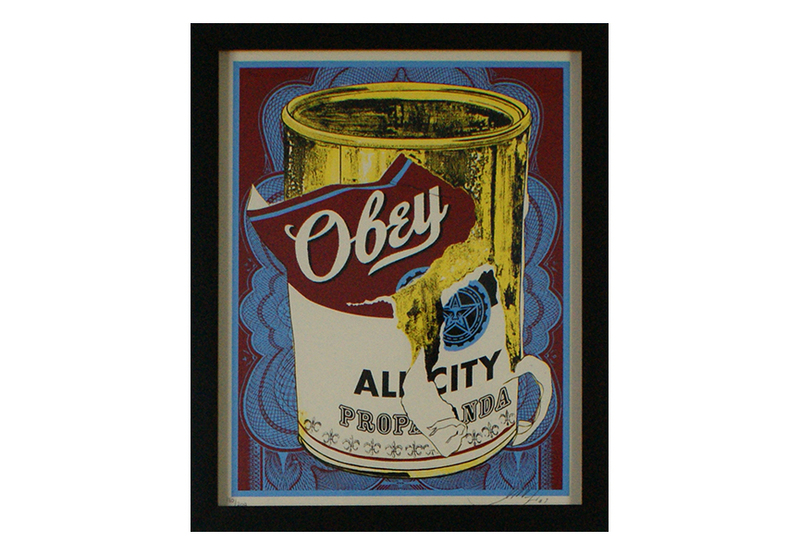 This is the earliest Obey print we have in our collection. 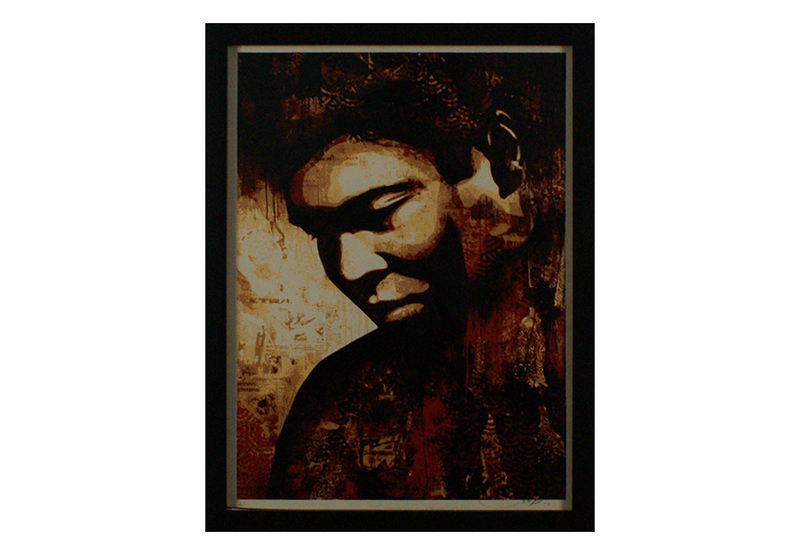 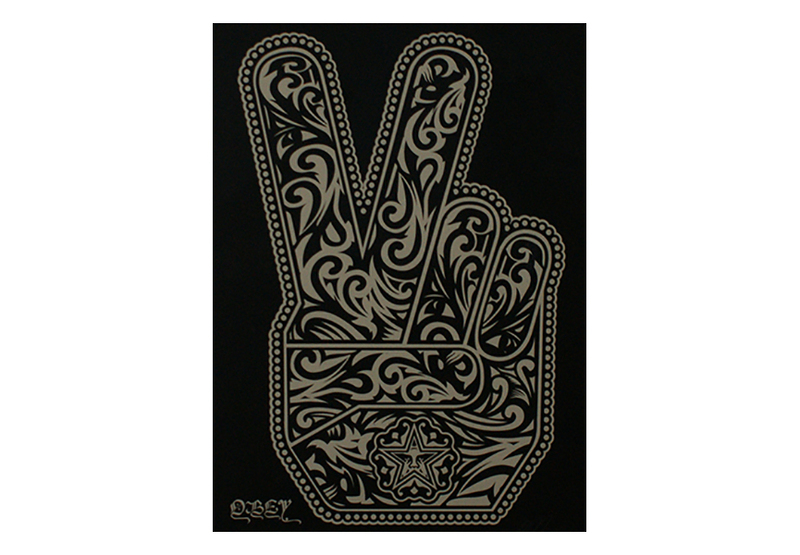 The works entitled ‘Peace’ and ‘Ali’ were acquired with artist proof. 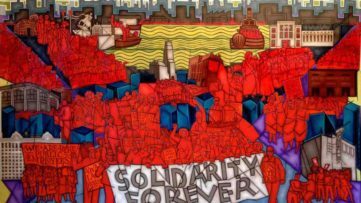 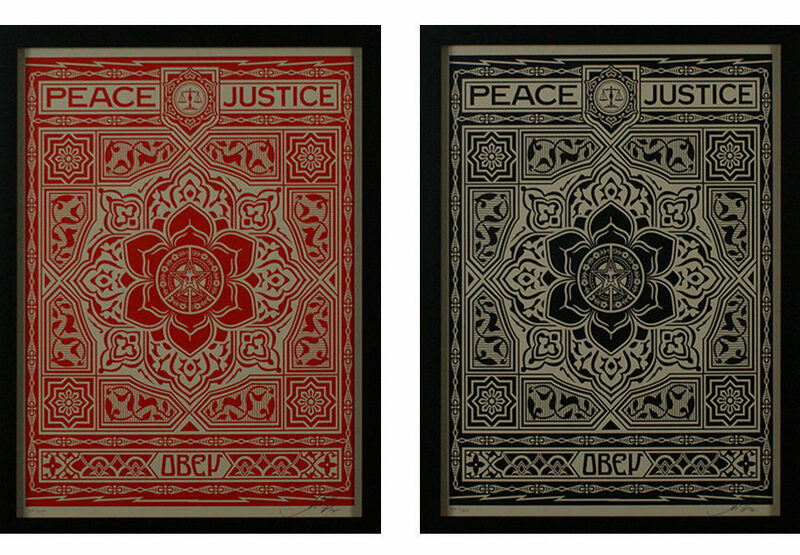 We also have a series of 2 named ‘Peace and Justice’ in red and black each print is 45 x 60 centimeters. 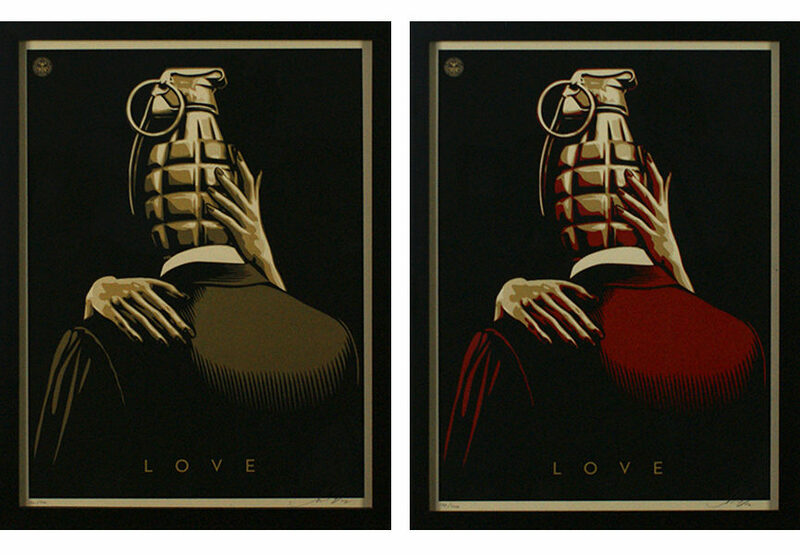 Another series of 2 we can present is the ‘Love is the Drug’ in red and gold, with the same dimensions. 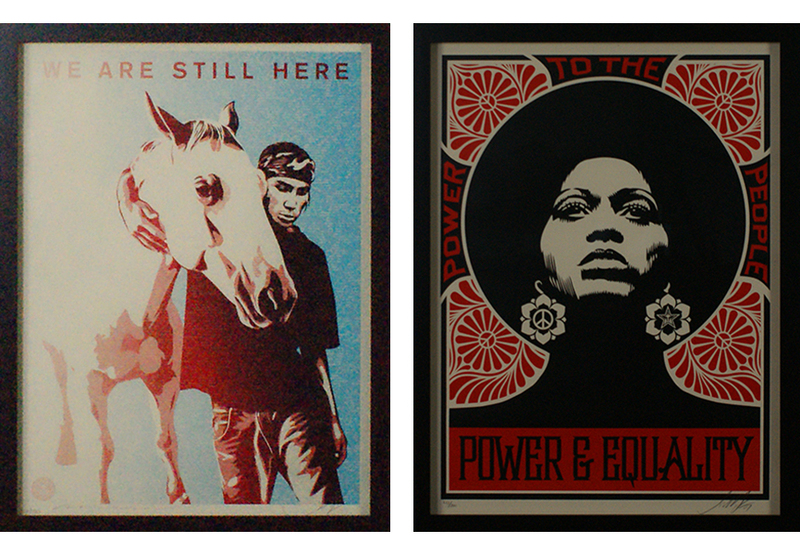 The prints ‘Power to the People’ from 2007 ‘Pine Ridge (We Are Still Here)’ from 2011 also have the same dimensions. 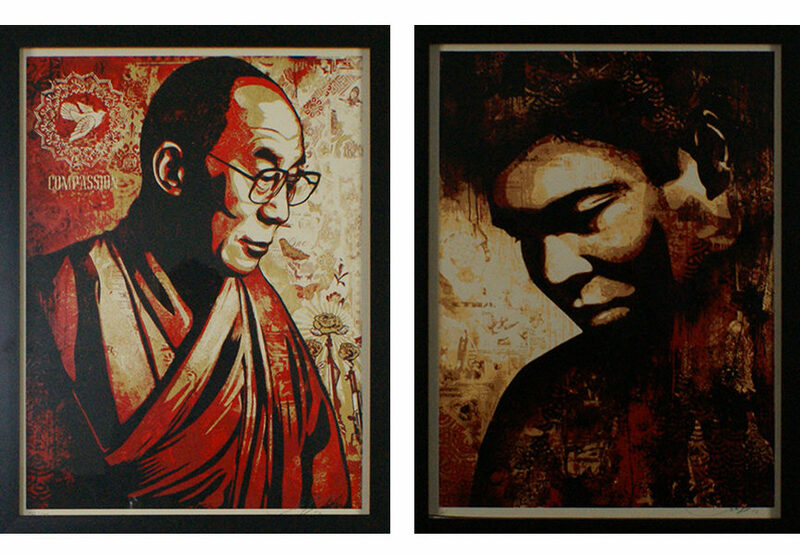 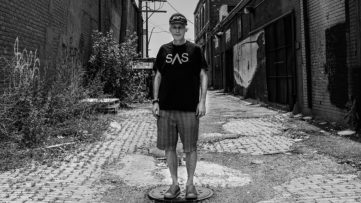 The four remaining prints in the Widewalls Collection are each 41 x 51 centimeters. 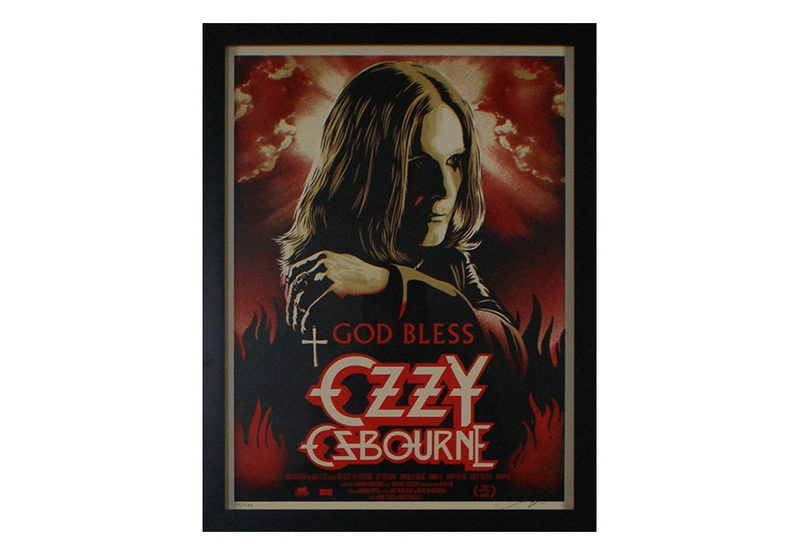 In order of appearance they are titled ‘Obey Can’, Ozzy Osbourne’, ‘Compassion’ and ‘Cure’. 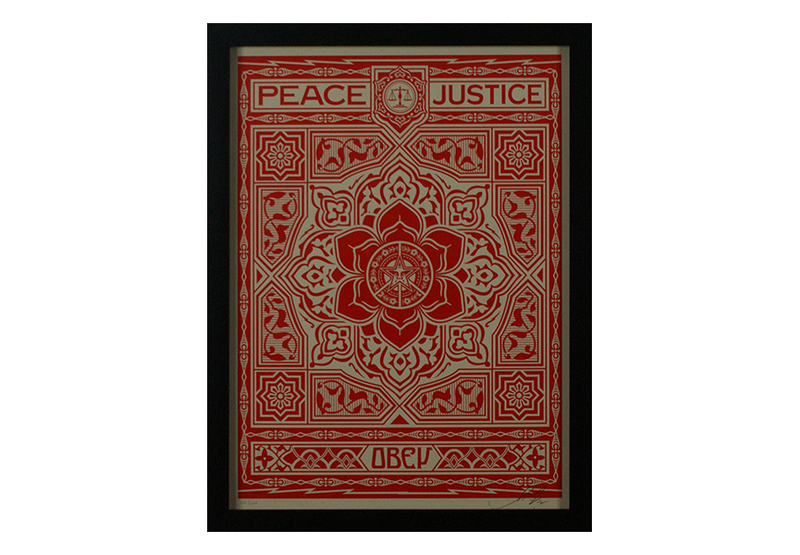 Shepard Fairey, who himself is a member of the punk and skateboarding sub-culture, attributes his rebellious street art streak in part to this, as well as Soviet-era propaganda, 1960s-era psychedelic rock poster art and paintings from Works Progress Administration campaigns, all sources from which Fairey derives great inspiration. 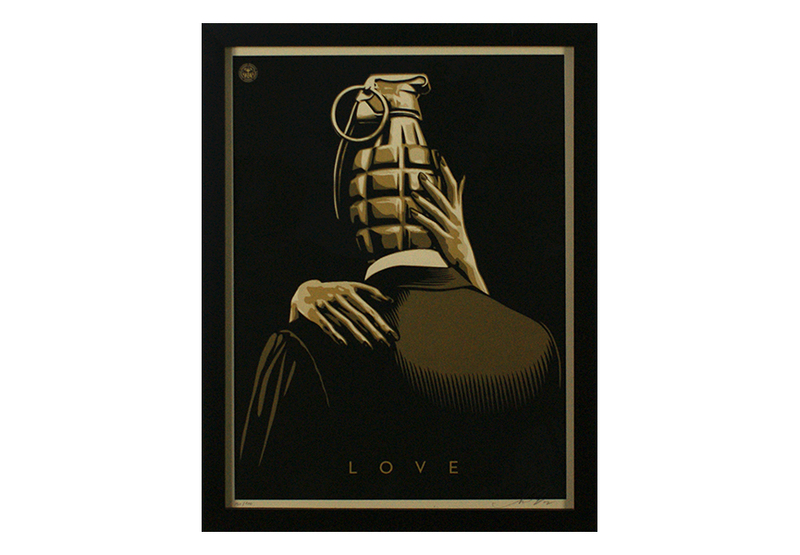 One of his more recent controversial works was a series of posters titled ‘anti-war, anti-Bush’ which he created in collaboration with artists Robbie Cond and Mear One in 2004. 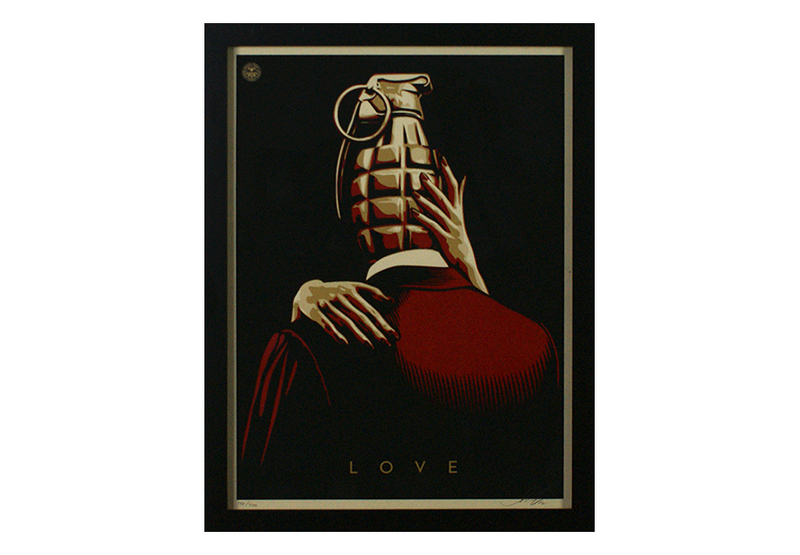 Images in this series include the former President, George Bush, hugging a bomb and another depicting George Bush as the devil. 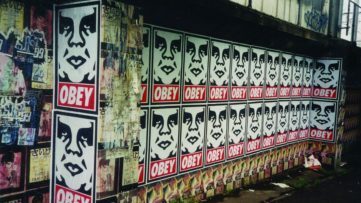 The Obama poster campaign, however, was a shift away from this. 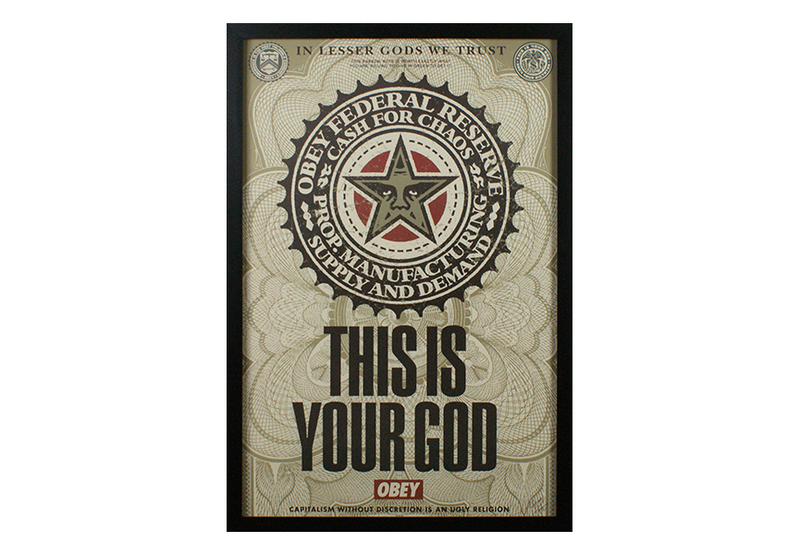 It did not hold that antagonistic streak reflected in these previous campaigns, but rather the Obama posters captured Fairey’s own forward looking and hopeful prospects for a new direction for the United States. 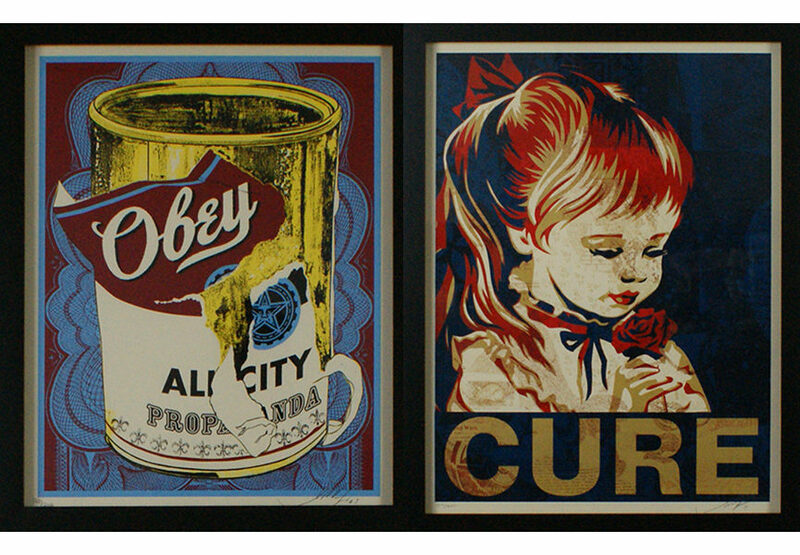 part from initiating his own art campaigns, Fairey does select commercial work (he helped to develop a design firm called Studio Number One for this) and he designs for album art, skateboards, film posters and clothes (he also has his own clothing line which came about as a result of the ‘Obey’ sticker campaign). 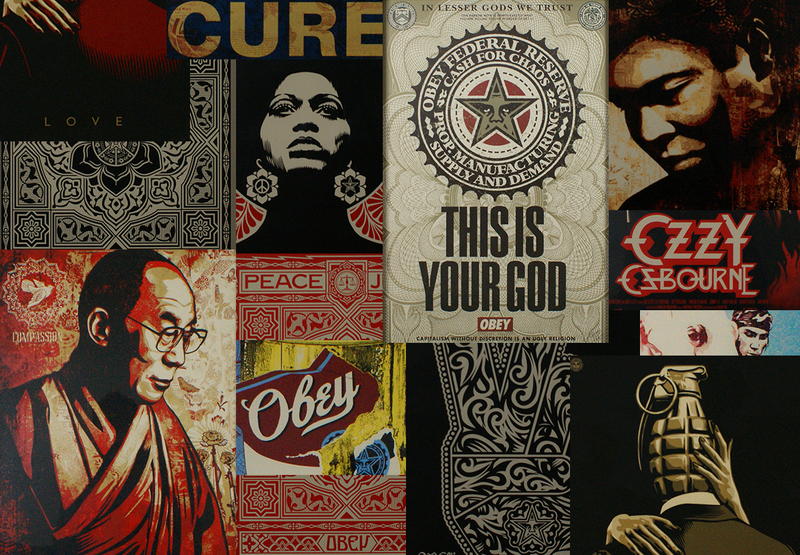 Examples of Fairey’s commercial work includes designs for the Black Eyed Peas album covers for ‘Elephunk’ and ‘Monkey Business’; the 2009 promotional material for the Earth Hour initiative and a range of creative branding designs for Pepsi, Nike, Electronic Arts, Hasbro and Netscape, among others.